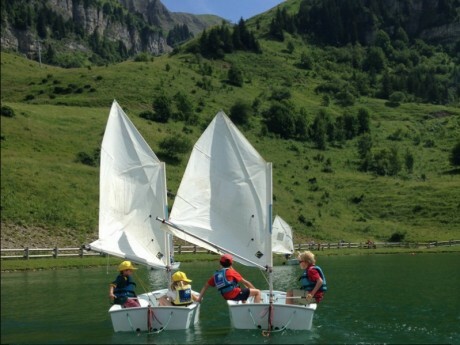 The French Alps are the perfect destination for a summer holiday. 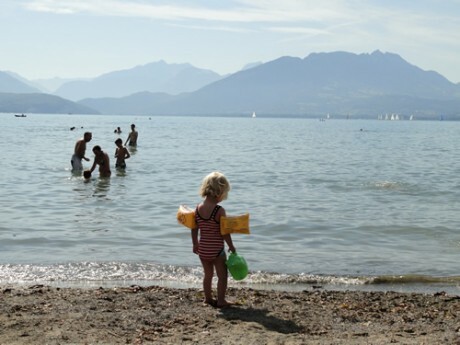 Temperatures rise to about 30°C in July and August with low humidity, making it a lovely climate to either be active or enjoy reading a book in the sun! 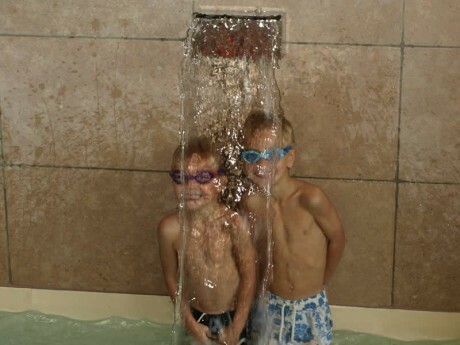 And what’s more, temperatures drop at night so in the morning you will awake refreshed! 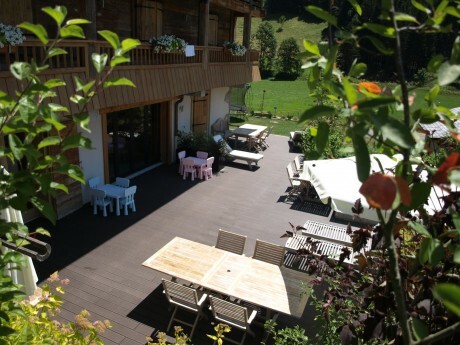 Chalet le 4 is located at the end of a cul-de-sac, which means that there is hardly any traffic. 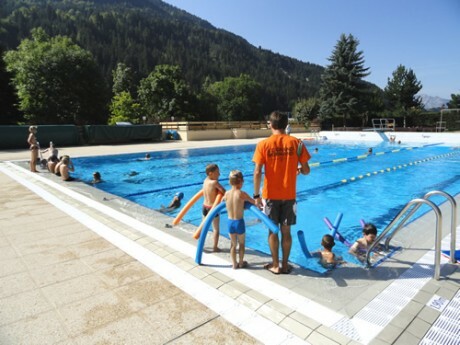 The ideal place to relax and have your children play freely. 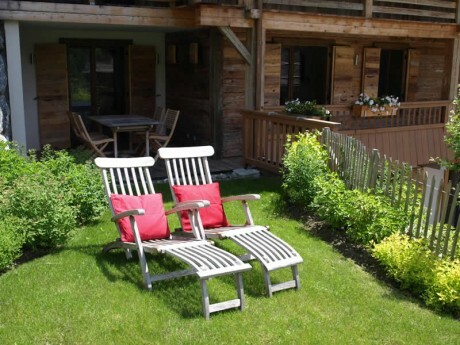 Guests benefit from a large southwest-facing terrace with sun loungers and a lawn with trampoline and swings and slide. The indoor pool becomes semi-outdoor as the sliding doors open up completely to this terrace. 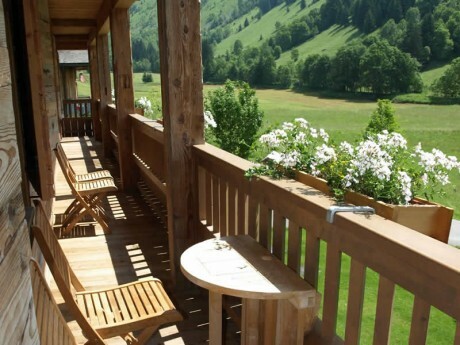 Every apartment has a private balcony or terrace with views over the Aravis mountain chain. 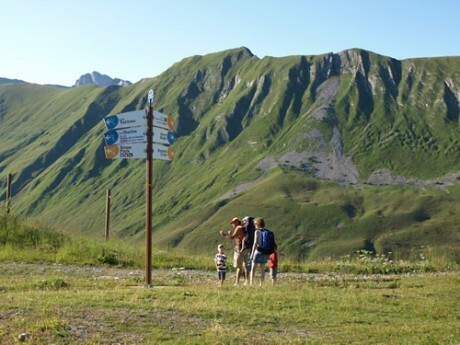 There are plenty of hikes setting off from Chalet le 4, two tennis courts across the road and the local golf course around the corner. 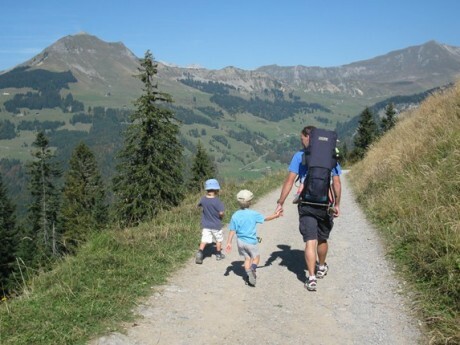 There are two child back-carriers, one baby front-carrier and one Bugaboo push chair available for all guests to share. 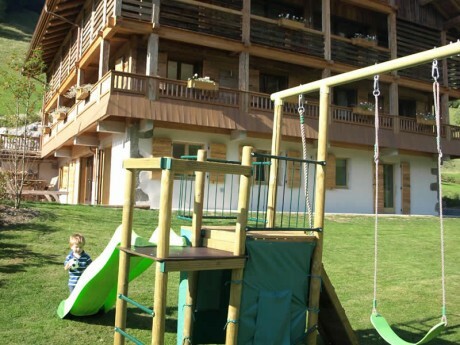 Several outdoor toys and tennis rackets and balls are also available. 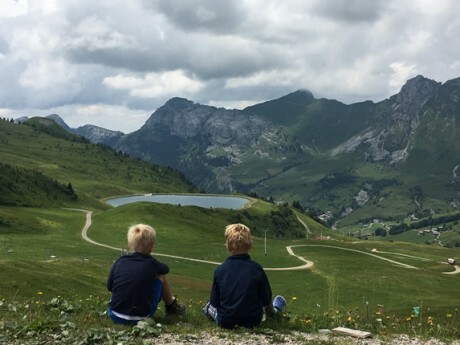 Situated in the heart of the Aravis mountains in the Haute Savoie region, Le Grand Bornand attracts visitors all year round. 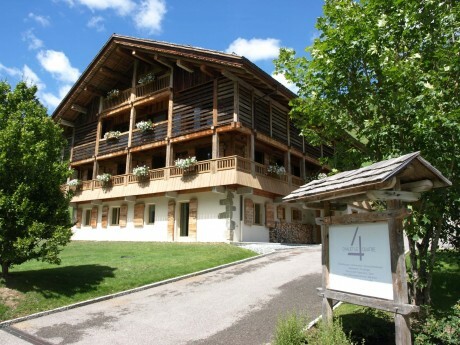 Despite the large influx of tourists, Le Grand Bornand is true to its heritage. 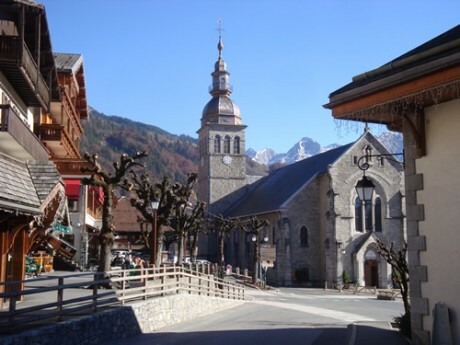 It continues to be a traditional farmers’ village, well known for its Reblochon and Tomme cheese. 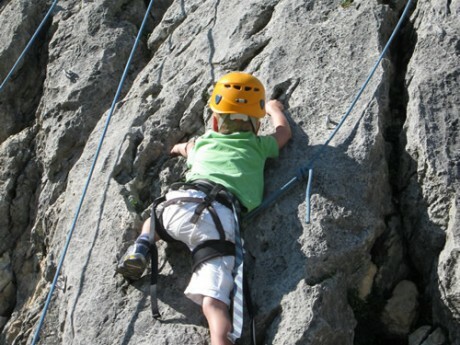 Between April and October, Le Grand Bornand welcomes cyclists and hikers of all abilities. 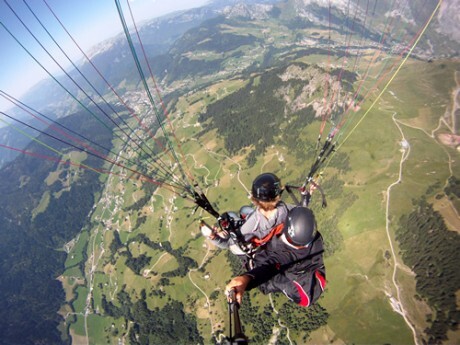 Rock climbing and paragliding are also very popular. 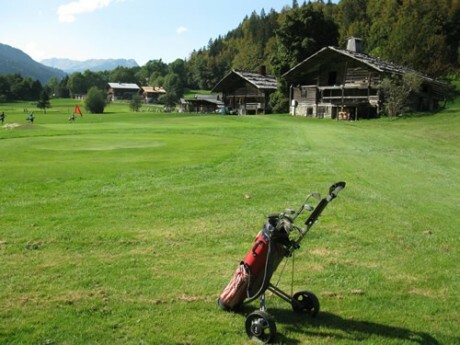 There are several tennis courts and a lovely par-3 golf course (both at walkable distance from Chalet le 4). 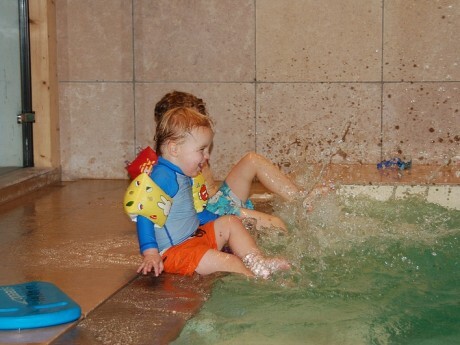 The swimming and splash pools at the aquatics centre (open from June-Sept) are a perfect place to cool down on a hot summer’s day. 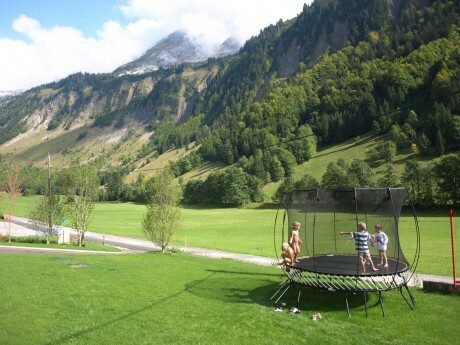 There are plenty of restaurants and shops in the centre of Le Grand Bornand and children are treated to the most wonderful merry-go-round. 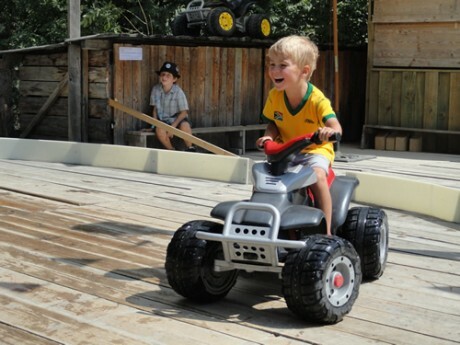 Other activities not to be missed are the mini scooters, trampoline park, pony rides, archery and mini-golf. 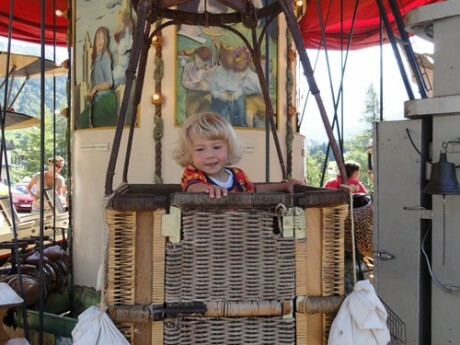 And what about a trip up the mountains in the cable cars? 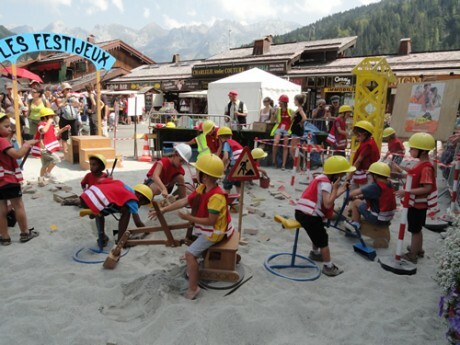 Throughout the summer Le Grand Bornand organises plenty of activities and street performances for children, including Europe’s largest children’s festival “Au Bonheur des Mômes”. An event not to be missed! 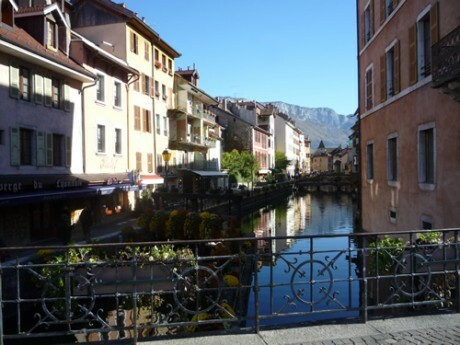 The medieval town of Annecy and its stunning lake is only half an hour’s drive from Chalet le 4. The “Venice of France” offers plenty of things to do and see, ranging from a boat tour around the lake, a picnic on the beach to a visit of the old town and its shops.